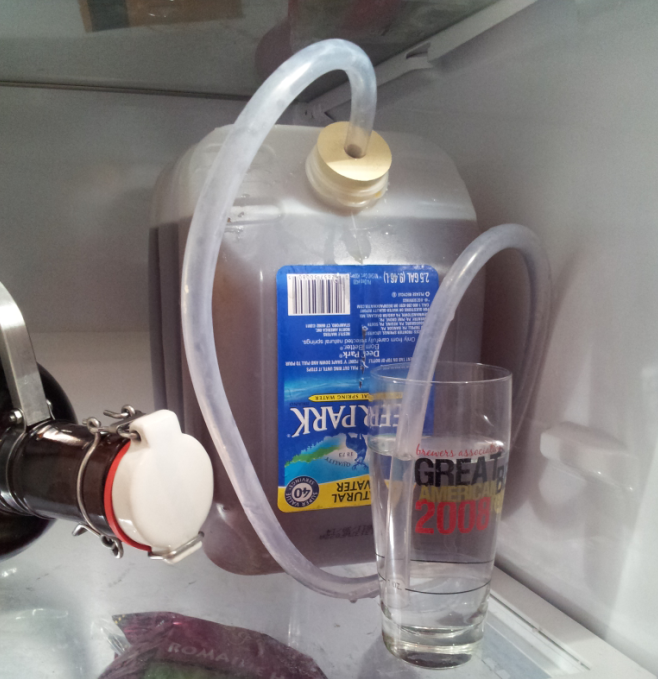 There are times when I read other homebrewers blogs and I am overcome with a sense of equipment inadequacy. Seriously, some of the rigs that people have bought, built, pilfered, or otherwise acquired are seriously impressive. It can leave a chap and his cobbled together 'system' feeling something akin to a malady requiring the work of Doctor Freud to overcome. My 'system' has no pumps, no false bottoms, no flashing lights and gizmos, but the beer doesn't seem to suffer from such technical rusticity. Perhaps my favourite piece of kit though is my lagering tank. 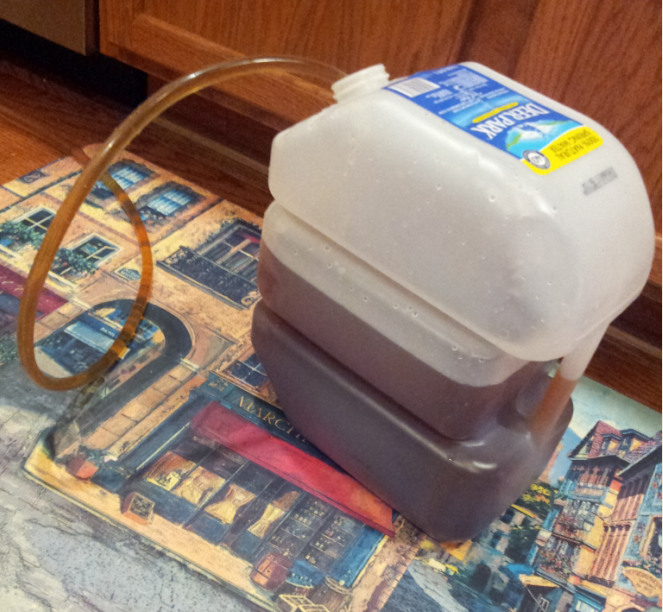 If you have followed Fuggled for a while, you know that most of my homebrew projects are done on a small scale, about 2.5 gallons usually, and so a 2.5 gallon water bottle makes an ideal lager tank, once you rack the beer off the yeast cake. You will also know that lagers are generally spekaign my favourite types of beer. My latest homebrew project to use the lagering tank is a doppelbock, with a starting gravity of 18.5° Plato, which attenuated sufficiently to give me 7.6% abv. I transferred it last night into my latest lagering tank, where it will sit for about 8 weeks, for no other reason than capricious whimsy. I usually give lagering tanks a couple of uses and then chuck them in the bin. An added bonus is that they slip nicely into the fridge, so there is no need to go out and buy a lagering fridge and the attendent temperature controls. Ever since my first homebrew efforts in a poky flat in the heart of Prague, I have tended to repurpose everyday bits and bobs for the noble art of making beer, you could call me a Homebrew Womble if you wish. 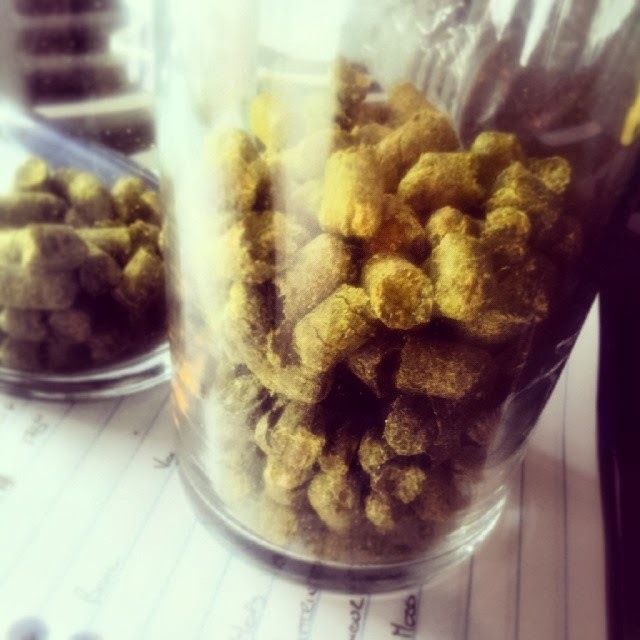 Numbers are part and parcel of beer loving, and brewing, whether at home or professionally. It all starts with building the recipe, working out the percentages of grains we want to use, taking those percentages and turning them into weights to match the capacity of our mash tuns, to reach the our target gravity, either as specific gravity or degrees Plato. Then we work out the number of bitterness units we want in the beer, and break them down by hop addition, and the number of minutes to boil the hops for. With the original gravity decided, the hopping set, we decide on a yeast to give us the amount of alcohol we want. Yet not a single one of those numbers will tell you anything about what matters when it comes to the most important elements of drinking a beer, flavour and aroma. Numbers will never explain the flavour and aroma differences between Saaz, Cascade, and Kent Goldings, to use three classic hop varieties as examples. Numbers will not explain the difference in sweetness between Munich and crystal malts. Numbers will never explain how a great session beer can be infinitely more satisfying that a run of mill booze fest. Numbers are part of life as a beer lover, but they are not the meaning of life (no, not even 42). 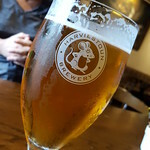 The satisfaction that flavour and aroma bring to the drinker sitting in the pub with a pint in his or her hand, is all that is important. Ultimately there can be no objective proof of a good beer by appealing to numbers, not even sales numbers. Since beer is entirely subjective, you either find the flavour and aroma of a beer appealing or you don't, and that is the only qualification of a beer's 'goodness' that matters. I like to start my brewdays early, usually mashing in around 7am and getting through the whole of my brewing by midday. 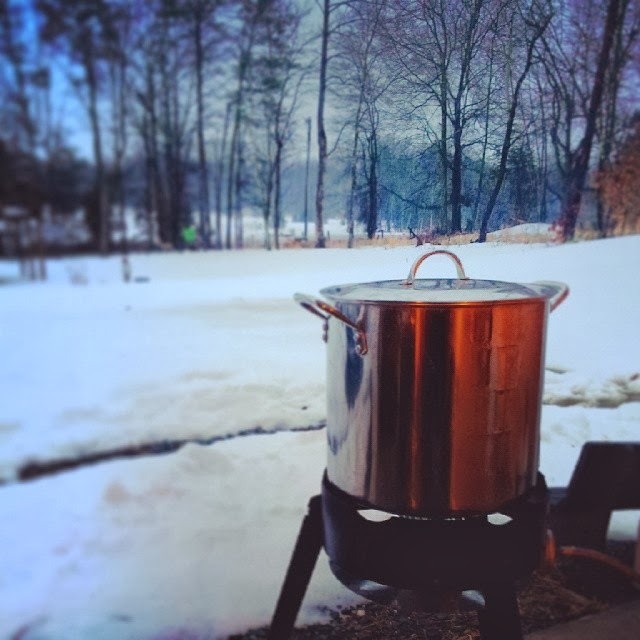 Saturday was no different, other than the blanket of snow on the ground, and the fact that the beer being brewed wasn't a product of my imagination. This weekend I brewed a recreation of a porter that was brewed in 1834, at the St. Stephen's brewery in Norwich, as part of the International Homebrew Project. Everything went swimmingly, perhaps a tad too swimmingly as I ended up with a 17°P wort rather than the expected 16°P, but a little extra booze never hurt anyone, right? I will let the yeast do its thing for the next couple of weeks, before bottling and letting it sit for 3 weeks and then do a full write up on the beer itself at the end of March, and if it tastes as great as it smelt during the brewday, then I am in for a treat! This weekend is the brewday for the 2014 rendition of the International Homebrew Project. For those of you who are planning to brew, I hope you've got your ingredients in; pale malt, brown malt, black malt, Fuggles hops, and an English yeast strain. Nothing too challenging there. So far I have heard that people from the US, UK, Ireland, Czech Republic, Tasmania, Israel, and South Africa are planning to take part. Anyone else? Poland, Latvia, Argentina? If you need reminding of the recipe, take a look at the IHP2014 page, up there in the navigation. I will be brewing my version on Sunday, and plan to continue using the #IHP2014 hashtag on Twitter - so if you have a Twitter account, please do likewise.